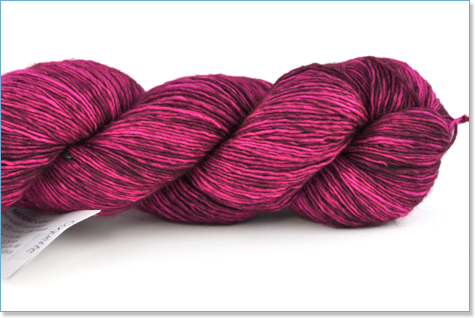 I have not been in a LYS for such a long time, probably more than a year. 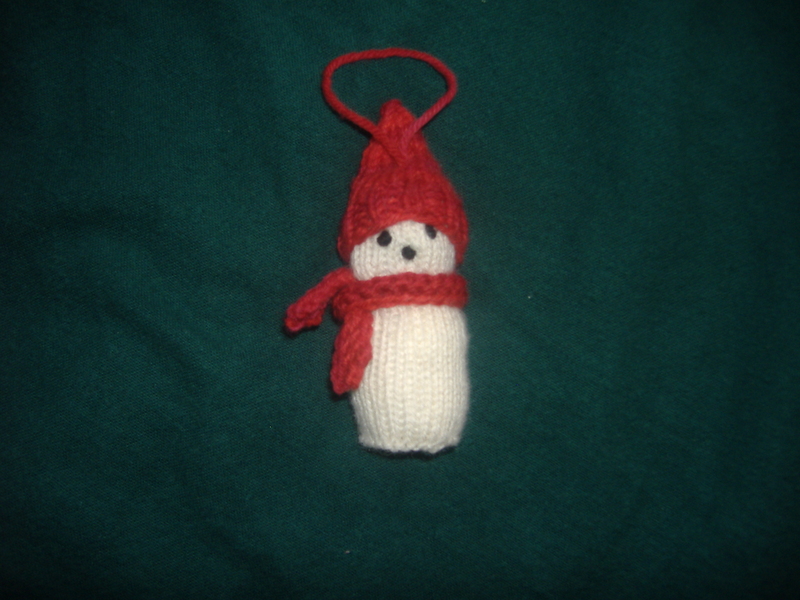 I went out on Saturday to check out a new place opened by one of the members of my knitting group called Hidden River Yarns. It’s a bit off the beaten path for me but worth the trip. 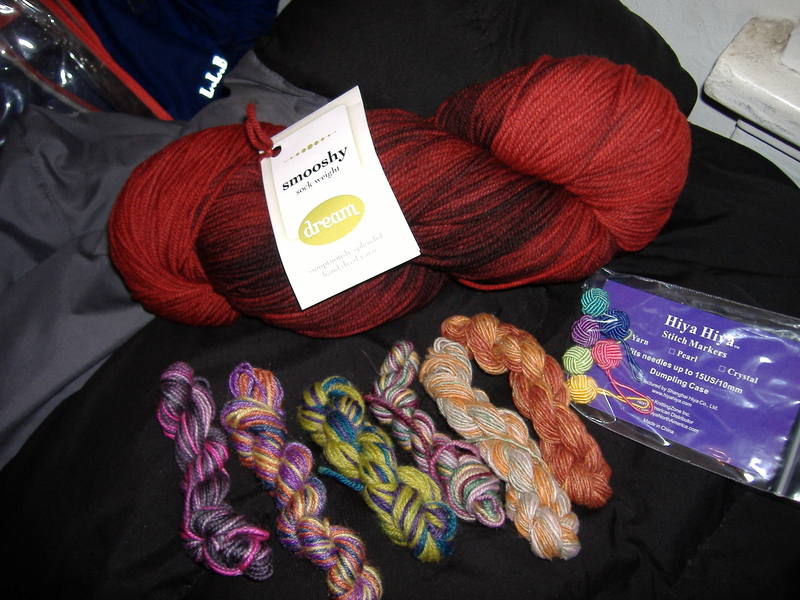 I ended up with a skein of Dream in Color Smooshy sock yarn, some miniskeins for my sock yarn blanket, and some stitch markers for a yarn swap I’m doing. 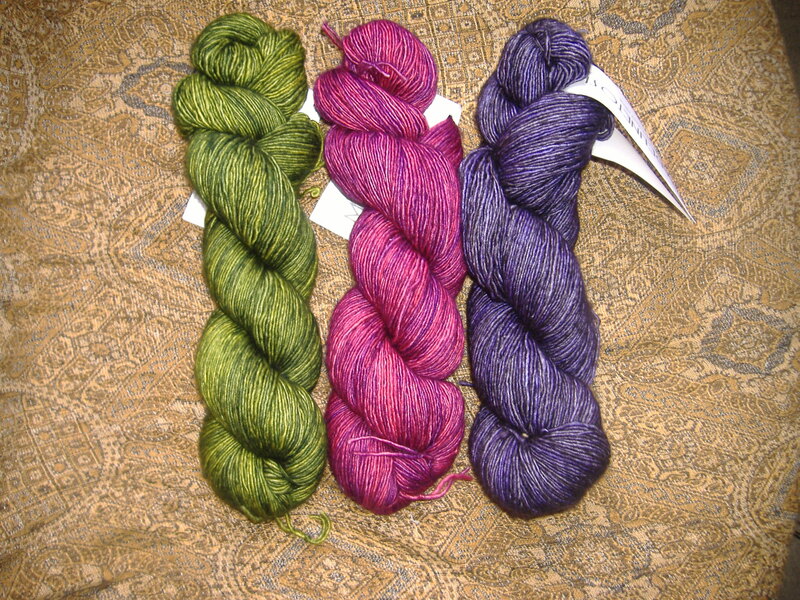 They had some cashmere blend sock yarn that I was sorely tempted to by as well as some gorgeous handspun. 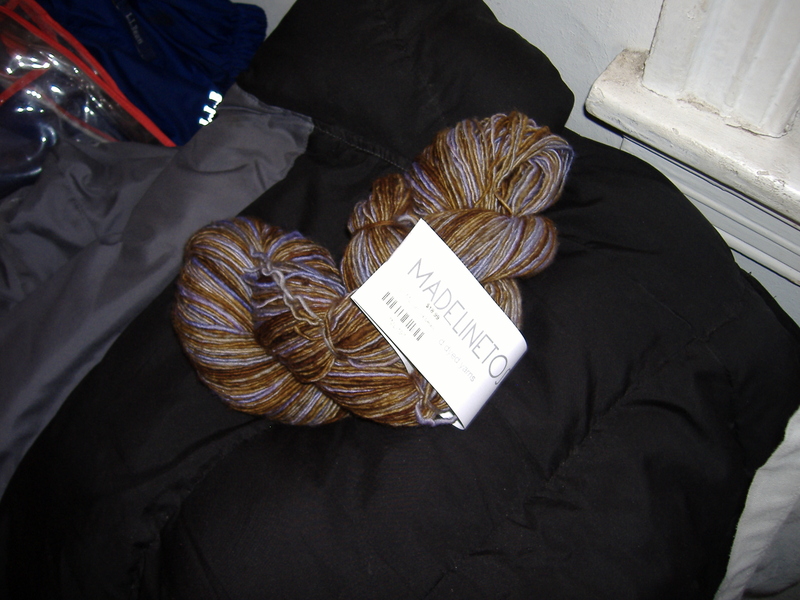 I’ll be heading back up there on the 17th to work on my long hibernating sock yarn blanket, so I may succumb yet. This afternoon, I hit two stores closer to home. My first stop was Loop. It’s always been one of my favorites, bright and airy with a nice selection of sock yarns which is what I always look for first. 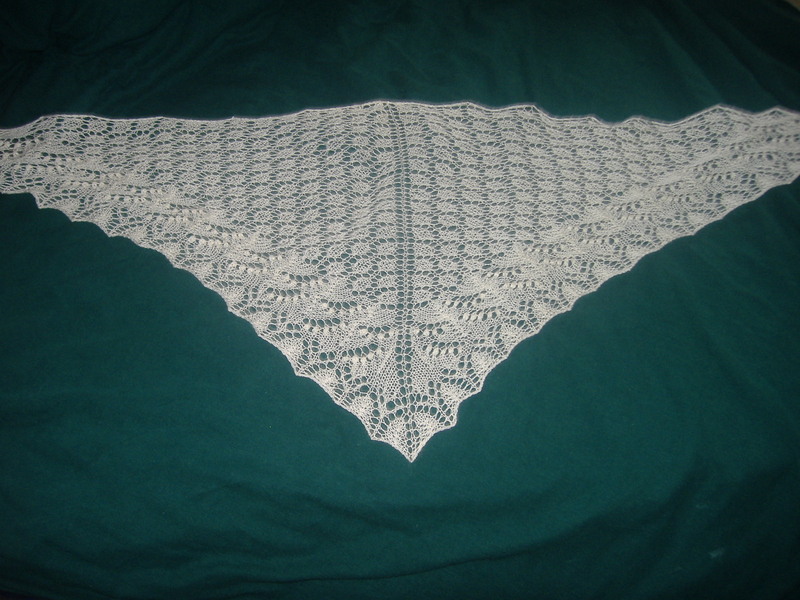 This is a skein of Madelinetosh Tosh Merino Light in Vanilla Bean. I wasn’t planning on getting this particular color. 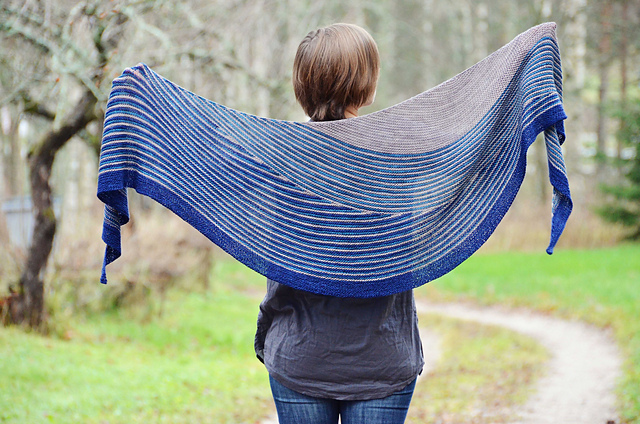 I am planning on making a shawl with it and needed to coordinate with another skein of Tosh Merino Light that I got as a gift two years ago. 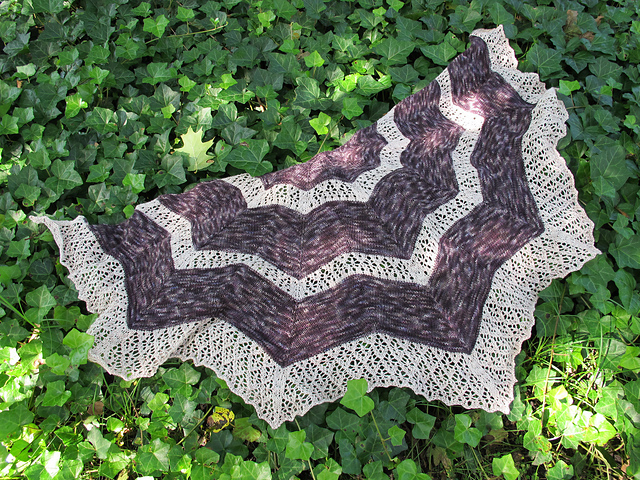 I’ll be doing the Stella Luna shawl in a wonderful deep purple and the Vanilla Bean. The purple in the Vanilla Bean isn’t the same as the purple in the other yarn, but it’s close enough to be able to pull it all together. 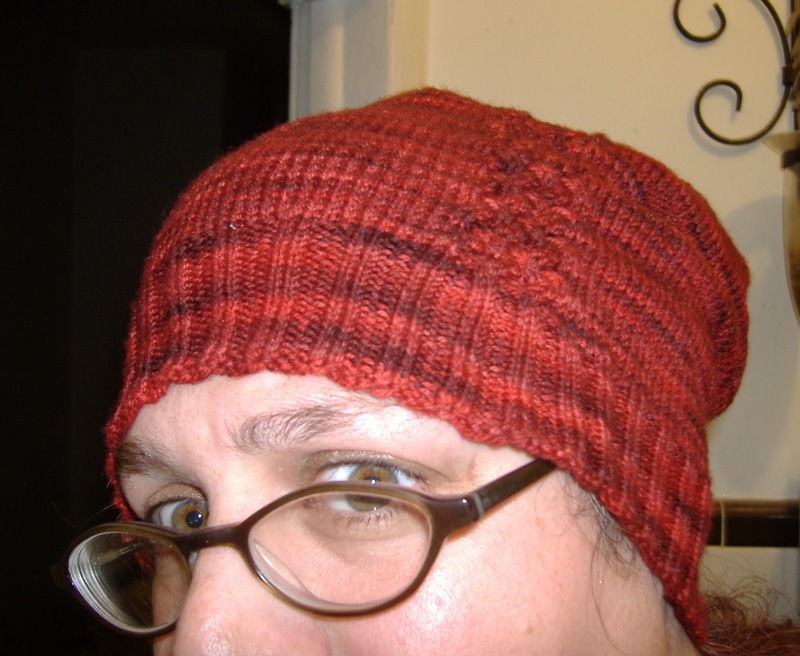 I’m hoping to be able to cast-on for this by the end of the month, once I can get some new cables and needle tips for my interchangeables. My second stop today was Rosie’s Yarn Cellar. It’s nice and cozy and again has a wonderful selection of sock yarns. 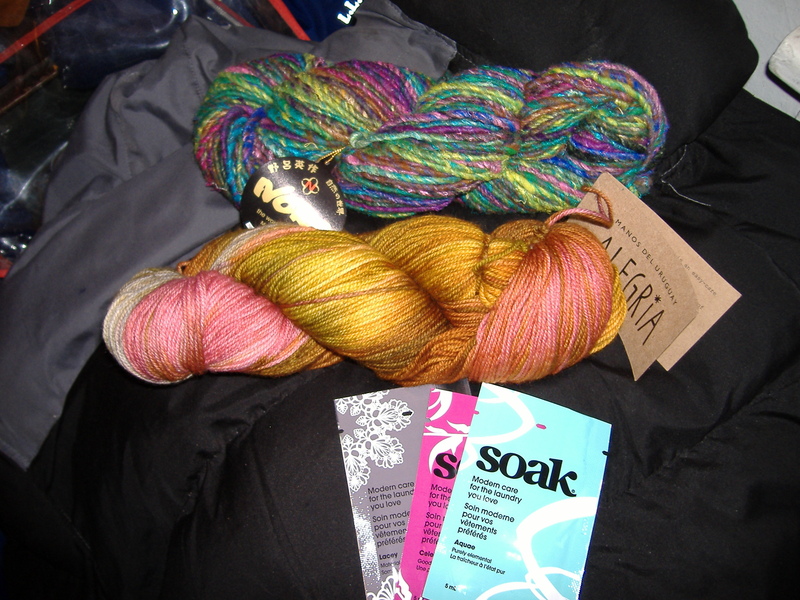 I have been very interested in checking out the new Manos sock yarn, Alegria, and was not disappointed. I wasn’t brave enough to get one of the neon blends, but there is always next time. I like the colors in the skein I picked a lot and am thinking about trying out one of the patterns from the Knitter’s Book of Socks if it’s not too much trouble to alter it to fit my foot. 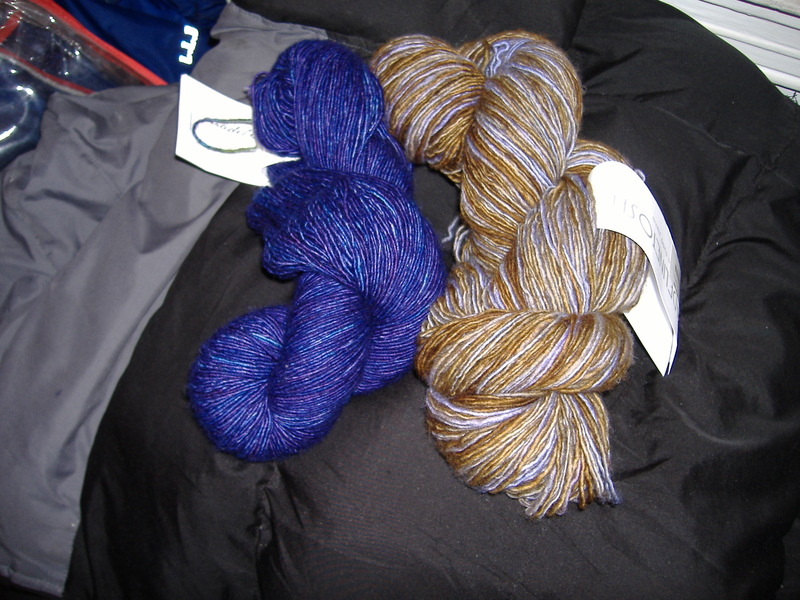 The top skein is some Noro Iro, their bulky wool/silk blend, that I bought for my swap along with the Soak samples. 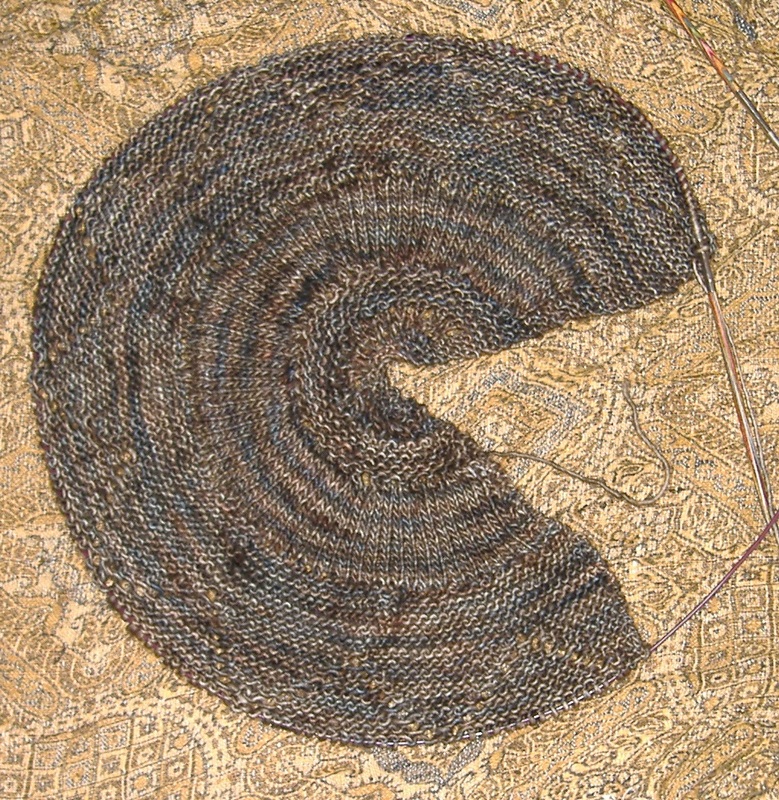 Enough about yarn, no onto some knitting. 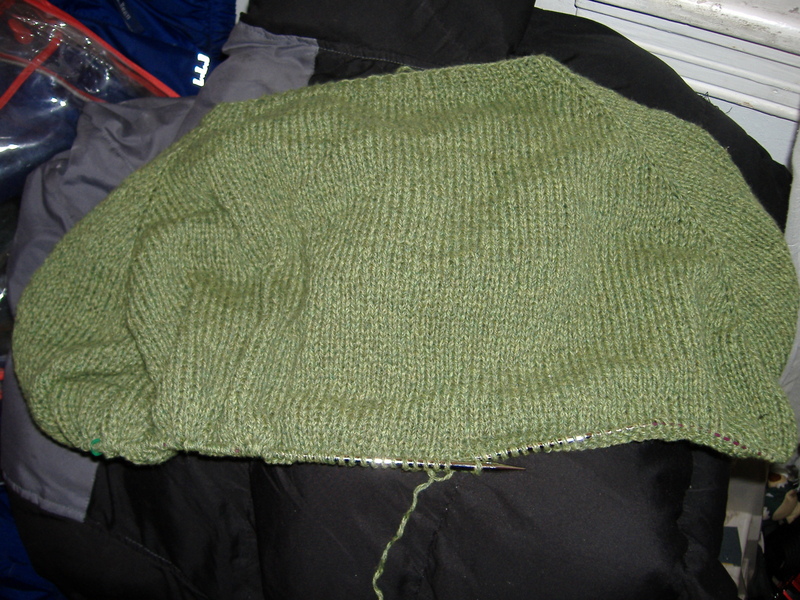 I have not been working on this anyway near enough, but here’s my progress on my new green sweater. It’s a top-down raglan using the Incredible Custom-Fit Raglan Pattern. I’m about to start my third ball and am a few inches away from breaking off for the sleeves. 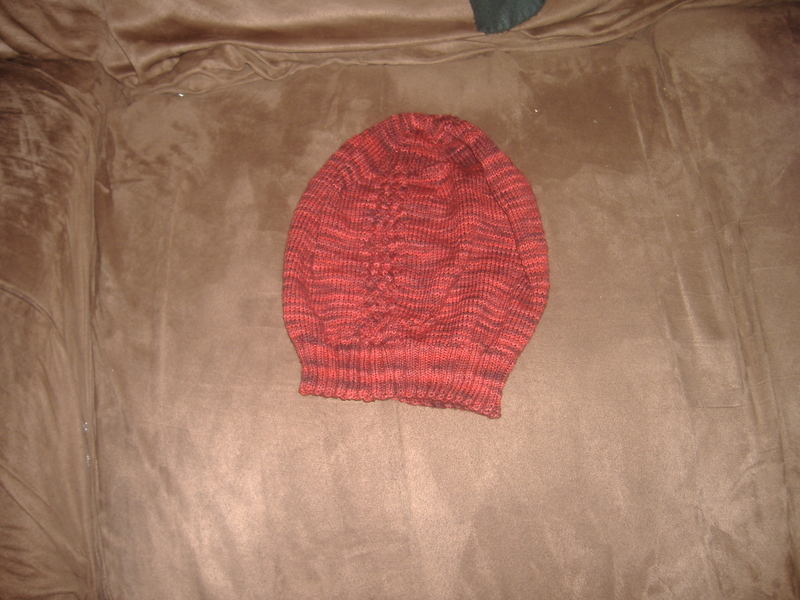 I’m worried about running out of yarn on this one so I’m going to put in a lifeline at 3/4 length for the sleeves and then knit the body and see if I can get away with long sleeves or not. Here’s the progress I’ve made so far. 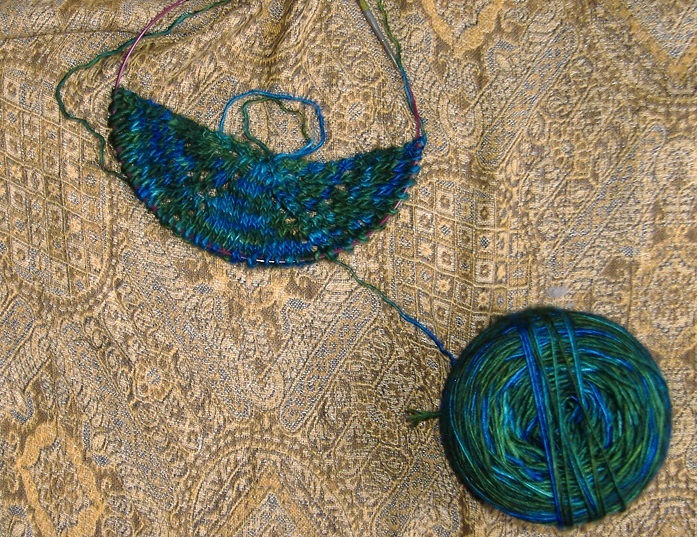 I’m using School Products Provence Merino Lace, doubled on US Size 8 (5mm) needles. 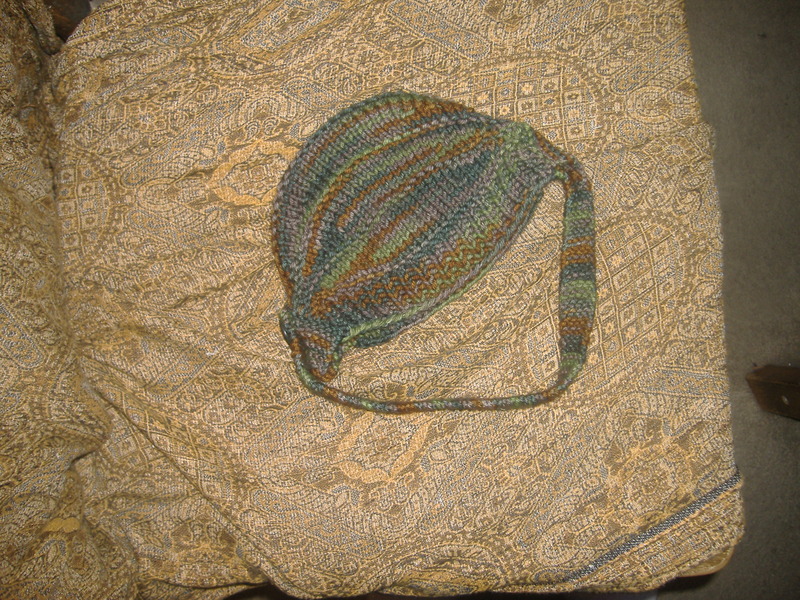 I need to have it finished by March 9th when I go to New York so I can wear a sweater I made myself (something that’s only happened once before).